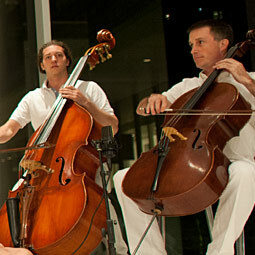 Three teachers unite for a magical time dedicated to peace. The inspiring melodies from a string ensemble formed specially for the tour soothed the yogis on this 3rd stopover of the tour in New York. 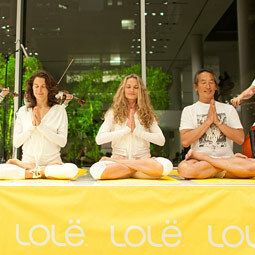 Lolë is sharing the love and the wellness in New York by supporting BENT ON LEARNING. Our intention is to encourage wellness in communities around the world. 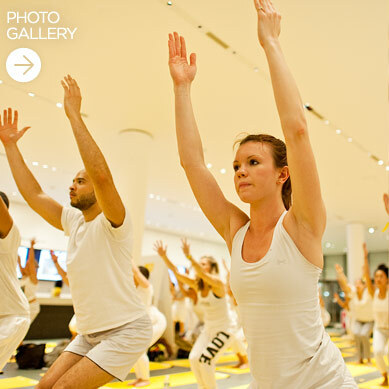 Proceeds from the new WHITE BY LOLË collection will benefit the host cities of the Lolë White Tour 2014, adding up to even more free yoga classes for even more communities. Doesn’t that feel good?